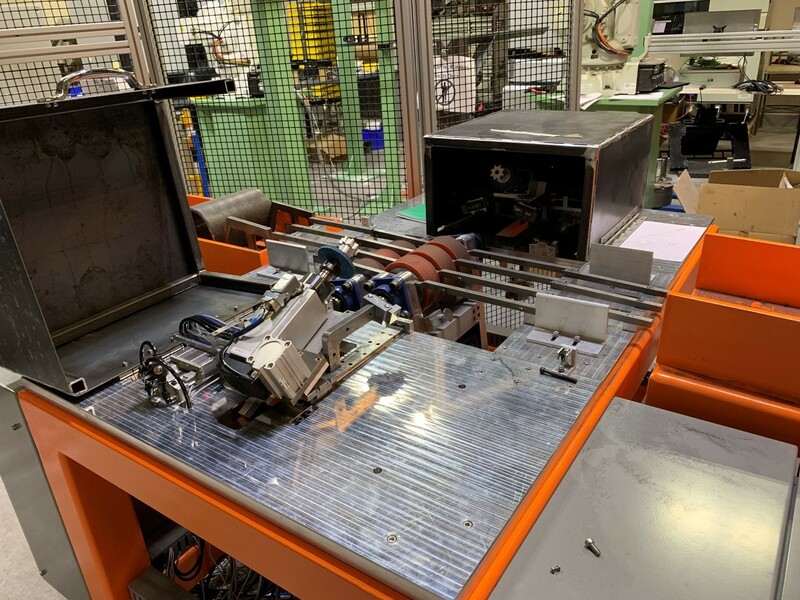 Autonetics is pleased to present its fully Automated Coupling Deburring Unit (CDU). We were approached by one of the leading manufacturers of couplings for the oil and gas industry to design and build a complete CNC deburring unit in a relativity short amount of time. This machine would need to deburr both sides of a coupling every twenty seconds with a size range of 5.0 – 10.7 inches in diameter, 8.8 – 10.7 in length and have no manual change over. 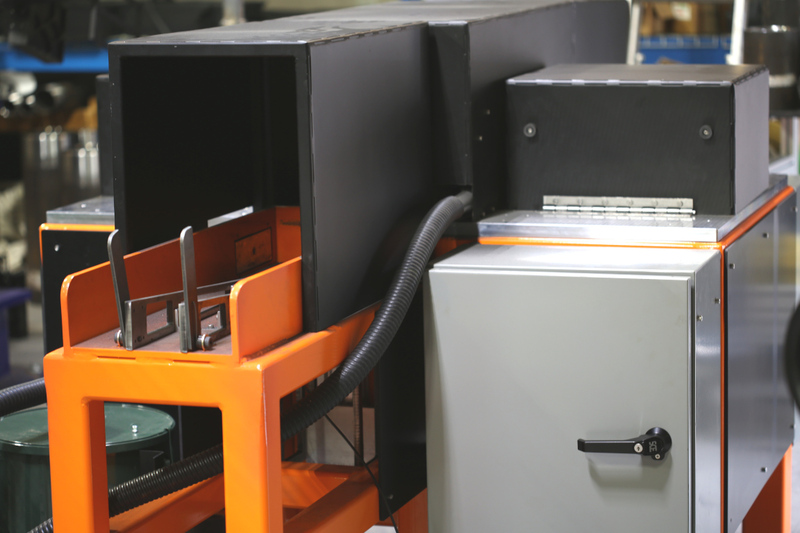 This machine will accomplish the task of 4 workers using only 1 operator and be contained within a small foot print. This is a completely custom machine and so we didn’t have a template to go by. At Autonetics we are not just limited to custom non-contact gauging/measurement systems. After internal design meetings and evaluations, we settled on spindles with a top speed of 24,000 RPM, a heavy-duty steel frame construction and a toolless mandrel for quick and easy change out of the deburr wheel when needed. 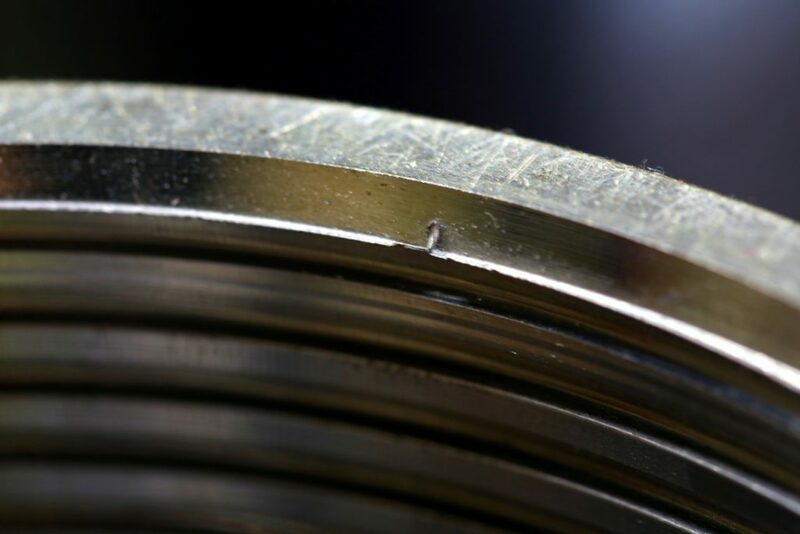 We use off the shelf hardware, when possible, as with the deburring wheels to keep the customers lead time down so when they purchase replacement wheels they can find them easily with next day delivery. 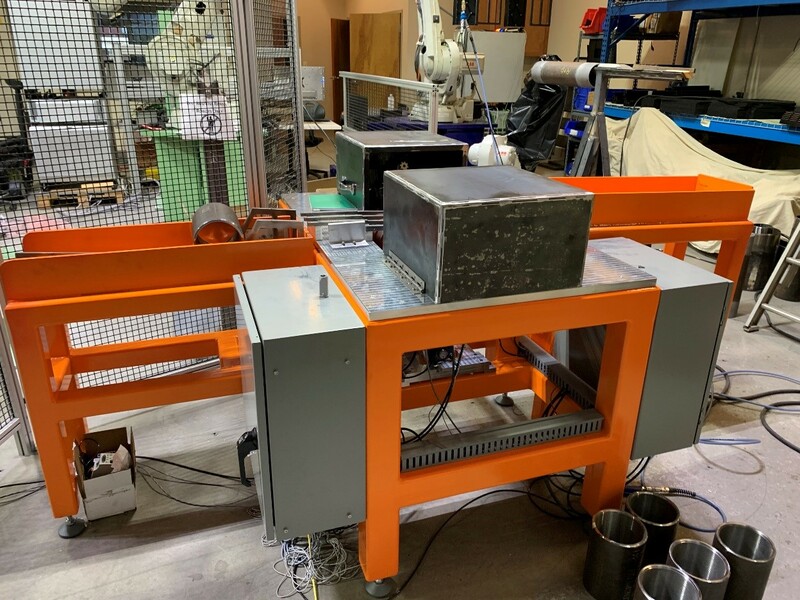 With the limited space constraints, we kept the feeder chute and return chute short, but this can be constructed longer based on the customers’ requirements for longer run time without worker intervention. 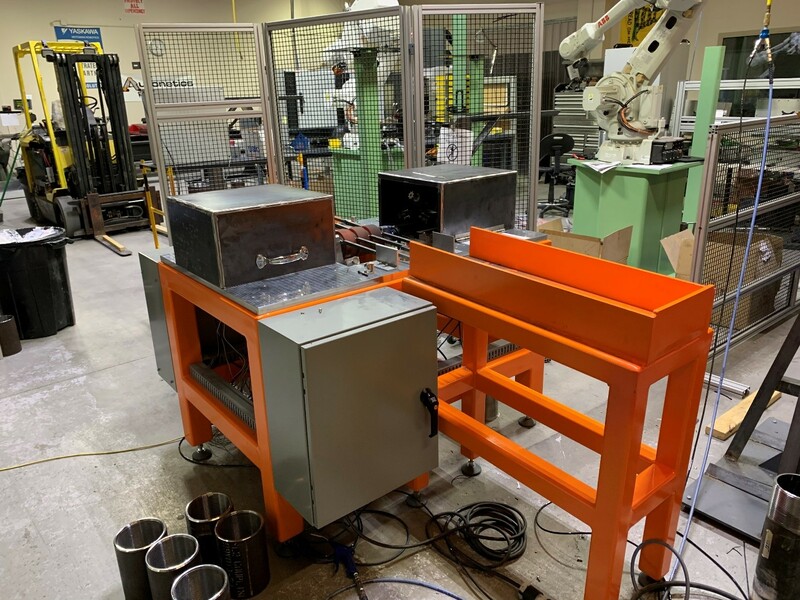 We also use a system of sensors to let our software know when we have a part to be deburred, when we have a part loaded into the deburring unit, when to stop the process if the return frame is full and at what state the system is in at any given time. The CDU comes with suggested settings for the different common couplings, but the customer has the ability to change to different settings based on their unique applications.